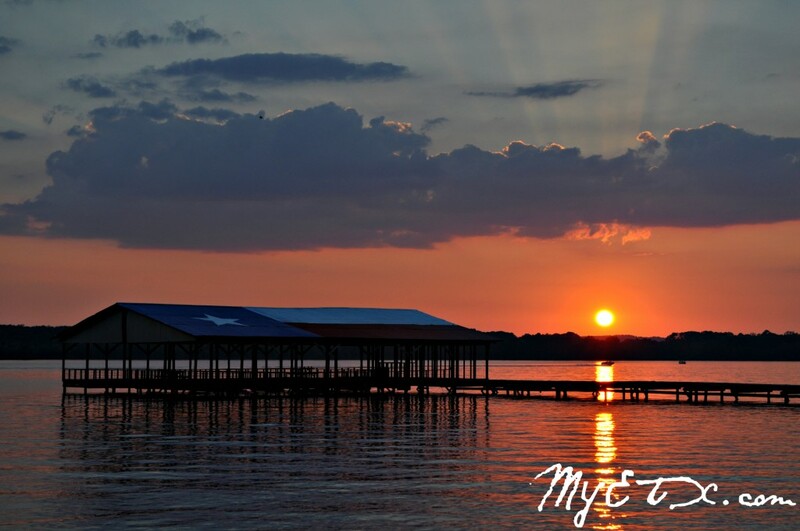 Cooper Lake State park is located in northeast Texas, on 3,026 acres surrounding the young 19,300 acre water body, Copper Lake. The park is composed of two units. Doctors Creek Unit is the smaller of the two, totaling 715.5 acres, and is located in Delta County. South Sulphur Unit lies in northern Hopkins County, and is 2,310.5 acres. Embankment on the South Sulphur River began in 1986. January 1996, the park property was acquired and by the fall of that year lake construction was complete. The park was open for boat access by November 1992. January 1996, marked the opening of the Doctors Creek Unit, and by April the South Sulphur Unit was open. Both park units were leased from the U.S. Army Corps of Engineers for 25 years, according to the Texas Parks and Wildlife Department (TPWD). The steep hills of the South Sulphur Unit to the more gently rolling slopes of Doctors Creek Unit give way to amazing views of Cooper Lake. Cooper Lake State Park is centrally located in northeastern Texas, in Delata and Hopkins counties, among several communities including Paris, Cooper, Greenville, Sulphur Springs, and Commerce. The park is located in the eastern extension of the Tall Grass Prairies and Post Oak Savannah. The flora site has been altered by previous human land practices, which resulted in soil depletion, however some of the flora communities are relatively intact and others are making remarkable recoveries. Plant life includes Poast Oak, Winged Elm, Bois d’ Arc, Mesquite, Texas Honey Locust, Eastern Red Cedar, Toothache Tree, Eastern Persimmon, Mexican Wild Plum, and Hickory. A variety of wildlife may also be seen throughout Coopers Lake State Park including the Grey Fox, Bobcats, Opossums, Beavers, Raccoons, White-Tail Deer, Nine-Banded Armadillos, and the Eastern Cottontail. Beneath the waters of Cooper Lake lies the area’s history and traces of ancient Caddo Indians who came there thousands of years ago, as well as traces of early settlers who lived there in the 1800s. Immigrants from , Kentucky, Virginia, and the Carolinas altered the countryside with the introduction of livestock and agriculture. By the nineteenth century, the was well known for its cotton and dairy production. The U.S. Army Corps of Engineers built the lake to help control flooding on the South Sulphur River, as well as to serve as a water supply for towns in the area and to provide recreational opportunities such as fishing and boating. Today Cooper Lake State Park has a wide range of land and water based recreational opportunities, which provide excellent outdoor opportunities. The lake has evolved into an all around fishing lake and is growing in popularity among weekend anglers and Pro Guides. Species on tap include Blue and Channel Catfish, Blue Gill, Florida Largemouth Bass, Crappie and Hybrid Striped Bass. Coopers Lake State Park offers camping, fishing, water skiing, picnicking, boating, unsupervised swimming, bird watching, nature study, fun and educational nature programs and tours. The South Sulphur Unit offers equestrian camping and horseback riding trails. Elevation: 450. Rainfall: Average 42.7 annually. Weather: January average minimum 30; July average maximum 94. Schedule: There is no gate that closes. Day use hours are 8 a.m. to 10 p.m. Both units are open 7 days a week, year-round. To Doctors Creek Unit, travel east from Commerce on State Highway 24 to Cooper, then from Cooper, east for 1 mile on State Highway 154, then south for 2 miles on FM 1529 to the park entrance; or north from Interstate 30 at Exit 122 on the west side of Sulphur Springs for 14 miles on State Highway 19, then west on County Road 4795 for 2 miles to the Corps of Engineers office, cross the lake dam and drive 1/2 mile further to the park entrance. To South Sulphur Unit, travel north from Interstate 30 at Exit 122 on the west side of Sulphur Springs for 10 miles on State Highway 19, then west on State Highway 71 for 4 miles, then north for 1 mile on FM 3505 to the park entrance, or east from Commerce on State Highway 11 for 7 miles, then north for 4.2 miles on FM 2653, continue on State Highway 71 for 7.5 miles, then north for 1 mile on FM 3505 to the park entrance, or east from Cooper for 1 mile on State Highway 154, then south on FM 1529 for 5 miles ( cross the lake dam) to State Highway 19, then south for 5 miles to State Highway 71, then west for 4 miles to FM 3505, then north for 1 mile to the park entrance. $3 per day, per person 13 and older. 15 – Equestrian campsites with electric & water hook-ups. This area is reservable for equestrian users only. Sites have a picnic table, fire ring, and a lantern post. No stables, sites are 10′ x 55′ back-in with a tether pole for horses. 5 – Overflow equestrian campsites. There is no paved surface or tethering area. There is no water, electric, table or grill provided. 1 – Group Picnic Pavilion (Capacity 75). Facility has a BBQ grill, electric outlets, lights, and water. National Weather Service forecast for the South Sulphur Unit area. $3 per day, per person 13 years and older. Maximum 8 people per campsite unless otherwise noted. Applicable daily entrance fees are charged in addition to the campsite or facility fee. Tents allowed in limited service cabin area and screen shelter sites with superintendent’s approval. – Group Picnic Pavilion (Capacity 50). Facility has 8 picnic tables. National Weather Service forecast for the Doctors Creek Unit area. Hey, guys! I know it has been awhile, but I have been pretty busy this summer. 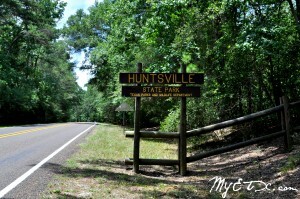 The last adventure I went on was to Huntsville State Park on the Fourth of July. If you haven’t visited a State Park in East Texas this summer, there is still time!